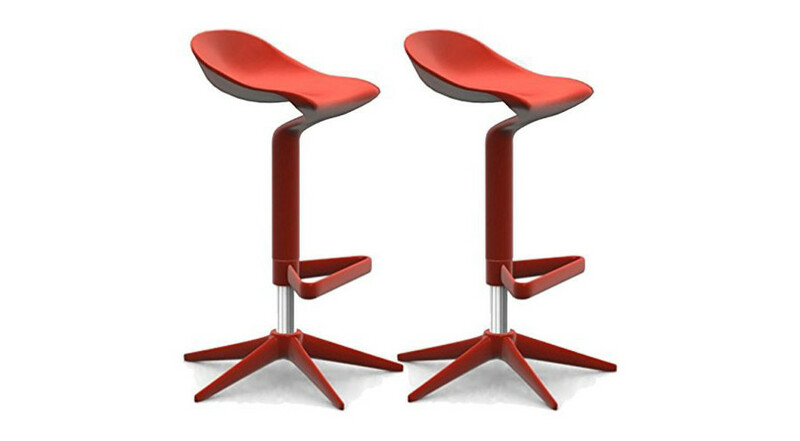 Category: Dining Chairs. Tag: dining chairs. Stunning French-inspired Jolie Mocha Dining Chairs, perfect for your dining room or living room. 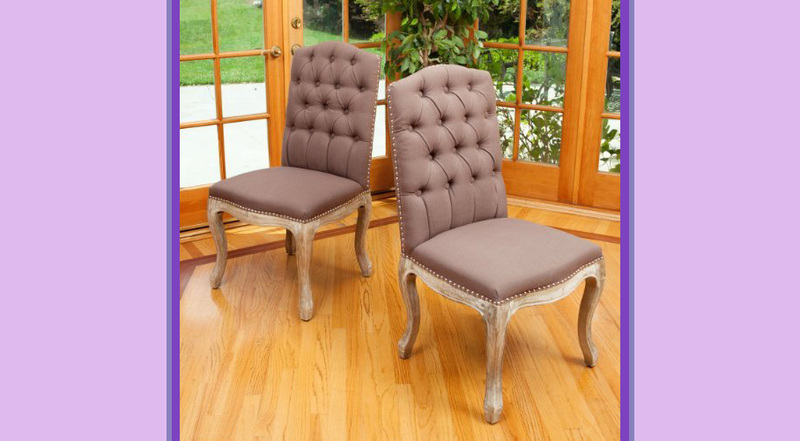 Add some class to your home with these elegant French-inspired Jolie Mocha Dining Chairs. Upholstered with mocha brown fabric, these dining chairs not only look amazing in your dining room, but also make stunning accent chairs in your living room. 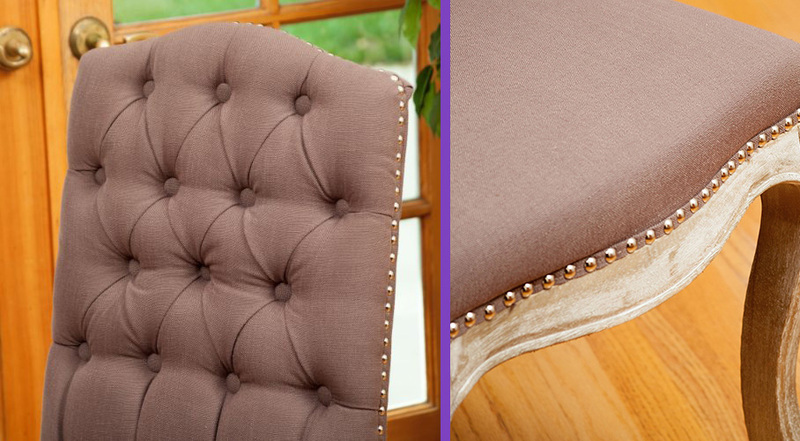 The Jolie Mocha Dining Chairs features studded nail accent and weathered wooden oak legs. Comes as a set of 2. Experience renaissance dining with the White Flower Dining Chairs. 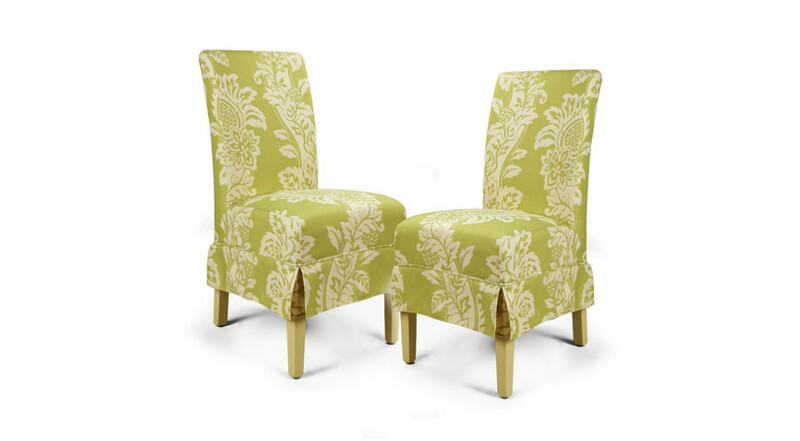 Designed with beautiful use of color and sturdy craftmanship, these dining chairs can add charm to your dining room. 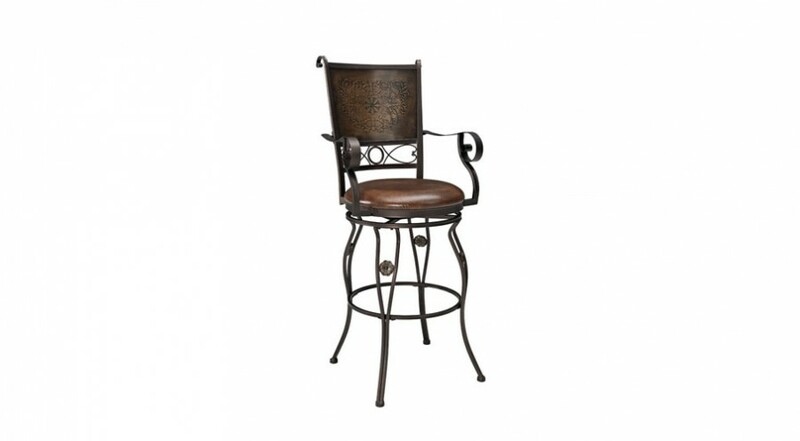 Designed for people big and small, this bar stool has an intriguing copper back design with a plush comfortable seat. The perfect addition to your kitchen counter/ bar. Bring some of your bar comforts to your home. Perfect for kitchen counters or breakfast bars. I can see my face in them! 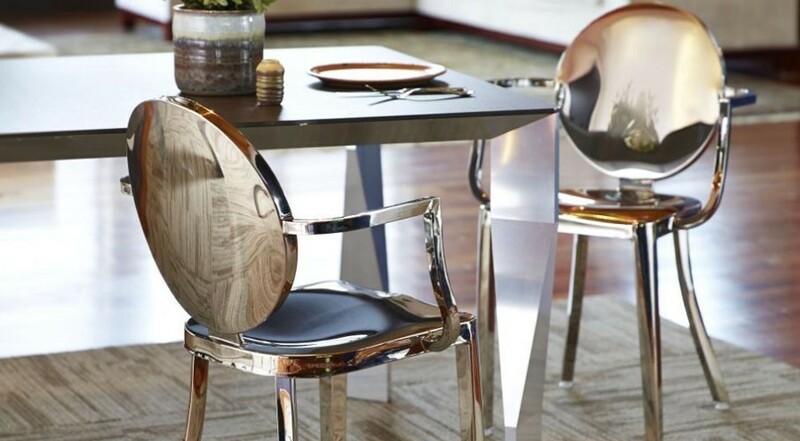 This pair of steel dining arm chairs brings a touch of modern chic to your dining room.